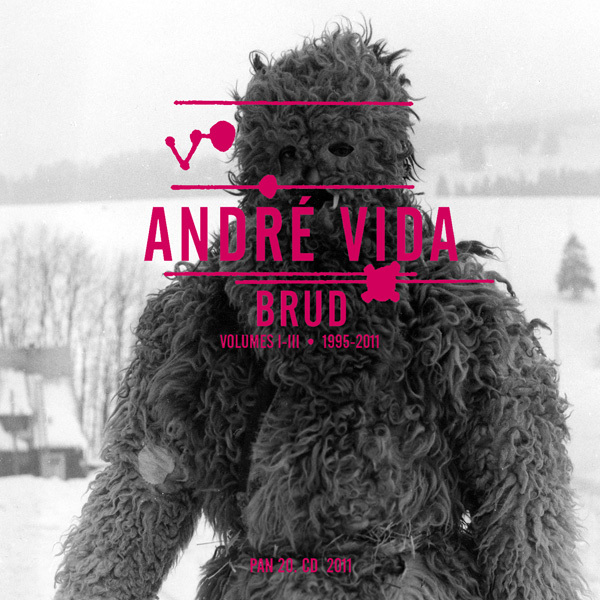 Brud is a three volume compilation of recordings from 1995 to 2011 by Andre Vida, morphing seamlessly between a sense of total irreverence and the sublime. 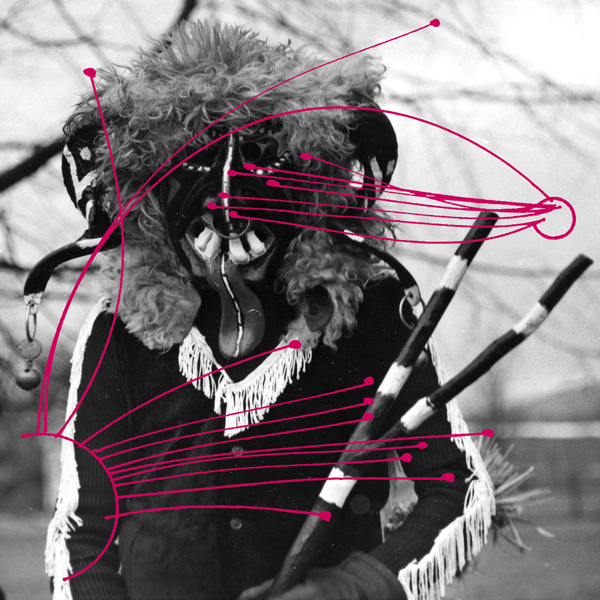 His spontaneous compositions and notated works are the angled mirrored counterparts of a transient saxophone driven performance language, drawing on elements of 1970s performance art, new music, improvisation cult, folk and pop hybrids, channeling them into asymmetrical tunes of feral beauty. BRUD traces the development of Vida’s wayward language through 16 years of copious ruminations. The three delightfully polymorphic perverse discs unite sparkling solo sax, pieces for cello and woodwind sextet, synth / concrete electronic music, nocturnal improvisations, rare 90’s New York free jazz compositions, and the Kreuzberg suite — a distilled culmination of a hundred nights of Berlin mayhem into ecstatic swinging lyricism. Both solo works and as well as various collaborations with Anthony Braxton, Rashad Becker, Axel Dörner, Matt “MV” Valentine, Tim Barnes, Helen Rush, Olaf Rupp, Clare Cooper, Clayton Thomas, Brandon Evans, Elisabeth King, Steve Heather and many more. Andre Vida is a Hungarian American saxophonist, composer and lyricist living in Berlin. More downtown cheeky grin than mere caveman smile, he is cosmically notorious for continuing the Rahsaan Roland Kirk one man horn section legacy with hydra headed style. He has been at the forefront of several major developments in experimental music, being mainly in Anthony Braxton’s original Ghost Trance Ensemble, as founding member of New York collective the CTIA, subsequent ‘freak folk’ groups such as The Tower Recordings, and his extensive collaborations with electronic music visionaries Jamie Lidell, Tim Exile and Kevin Blechdom, Elton John, Gonzales, Cecil Taylor, Ornette Coleman to name but a few, sewing up some heavy threads in downtown sax patchwork refracted through a Borgesian lens. The 3xCD is a limited edition of 1000 copies, and is packaged in a pro-press digisleeve jacket which itself is housed in a one-tone silk screened pvc sleeve with artwork by Andre Vida and Bill Kouligas.